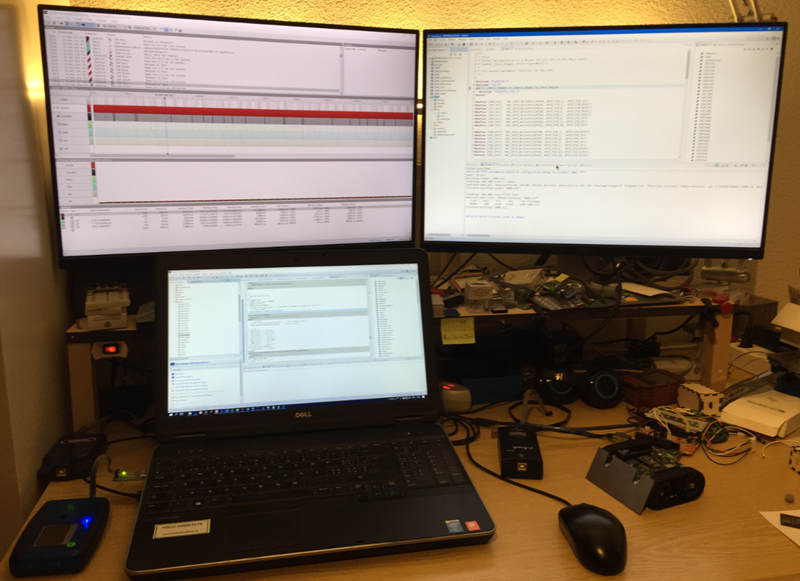 I love working with multi-monitor systems (see “Go, multiply and detach: Multiple Screens with Eclipse“), as this extends my working area. So I decided a while back to install a multi-monitor system on my home desktop too, as this is such a productivity boost. Most Windows applications check on startup if the screen coordinates are valid and open on one of the attached monitors. But some applications seem not to check this, so they open somewhere off-screen. This entry was posted in Tips & Tricks and tagged application, desktop, move, off screen, Segger, SystemView, Windows, Windows 10 by Erich Styger. Bookmark the permalink. Just one thing: that trick seems to work for some applications, but for some reason not for the Segger one (I just had the issue with the Segger RTT Viewer: I was not able to move it with the Windows key). But I was able to move it with the Shift-plus-right-click trick. 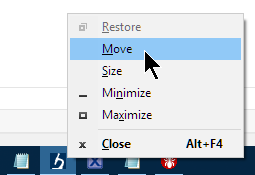 I’ve always used, ALT+Space, then M, then use the arrow keys at least once, then the mouse will move the hidden window. That’s a good one too! I did not know about the ALT+Space trick!